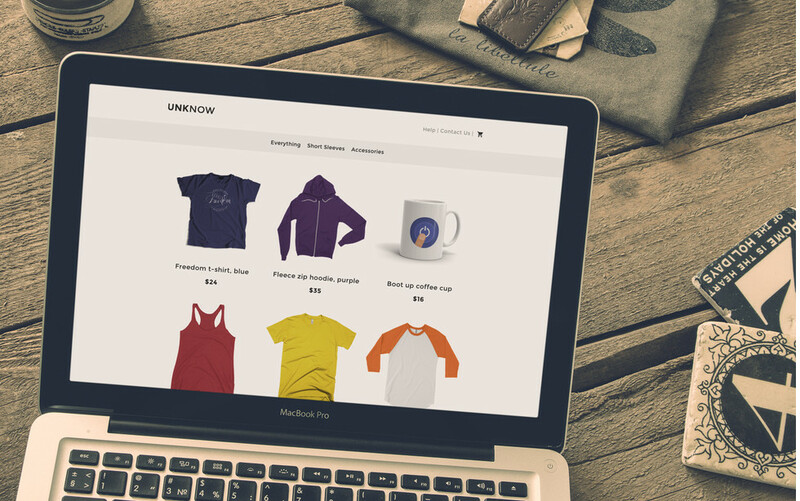 Are you ready to take your business to the next level and open an online store using Prismic? In this project we’ll show you how to get an eCommerce site up and running in no time. We'll be integrating Prismic with the lean & powerful shopping cart service, Snipcart. We provide you with all the source code you need to get this example eCommerce site working. After you set up your content repository we will show you how to configure the code, preview your content, deploy your online store to the web, and get set up on Snipcart. You have two options to get started: quick install or step-by-step guide. The first way to get started is to launch this project using the Prismic command line tool. With one command you can install the project files, create a Prismic repository, and automatically set up the custom types. In your terminal, run the following code to install the command line tool. Once that is installed, you can run the following code to launch the project. This sets everything up for you, so you can skip down to the "Write some content" section and go from there! If you prefer to set everything up yourself, here are the steps to create a content repository and configure the custom types. A content repository is where you define, edit and publish your content. Custom types allow you to define and configure fields for your content. We will configure our product pages with a Unique Identifier (UID) for constructing page urls, product release date, title, image, price, description, related product links, and all the information we need to integrate with Snipcart. We will set up a number of products for our store, so we will make this a Repeatable custom type. In the repository you've just created, go to Custom Types, create a new type, select Repeatable Type, and give it the name "Product". Make sure that the system automatically assigns it an API ID of "product". Once created, paste the following into the JSON editor and save. "placeholder" : "Link to a category"
"placeholder" : "Link to a product"
The category custom type will be a simple one used to organize products into groups on the site. We will need more than one category to organize our products, so this custom type will also be a Repeatable custom type. Go to Custom Types, create a new type, select Repeatable Type, and name it "Category". Make sure that the system automatically assigns it an API ID of "category". Once created, paste the following into the JSON editor and save. The layout custom type will be another simple custom type. It will consist of a title used to identify the document, an image for the site logo, and a repeatable group of categories that will make up the main navigation. We will only need one instance of this custom type, so it will fall into the category of Single custom type. Go to Custom Types, create a new type, select Single Type, and name it "Layout". Make sure that the system automatically assigns it an API ID of "layout". Once created, paste the following into the JSON editor and save. Start by creating one or two product categories. Go to Content, hit New, and select the Category type. Make sure to fill the mandatory UID field that is used for the category page’s url. Start by creating some product pages. Go to Content, hit New, and select the Product type. Enter a unique ID for the product page’s url in the UID field, and fill in the content for the product. Be sure to add a category to at least some of the products. Then save and publish! Finally we need to fill in our layout custom type. Go to Content, hit New, and select the Layout type. Add a title such as “Site Layout” so you can easily identify the layout in your documents. Then include a logo if you have one, and add your categories for the main navigation. If you don’t already have a Snipcart account you can sign up for free to get started. When signing up, ignore the field asking for the website url. We will update this later. Let’s see if things are working. If you didn't do the quick install, you will need to download the website source code. Set your prismic.io content repository API endpoint in your project’s config file. Next we need to add your Snipcart key to the project. From your Snipcart dashboard, click on Account then API Keys to get your Public Test API Key. Copy and paste this code into your project's config file. You will not be able to fully go through the checkout process until you have launched the site live and correctly set up snipcart as shown below. The last step is to update your Snipcart settings to point to your new heroku site online. Go to your snipcart dashboard, click on Account then Domains & URLs. Enter your heroku website url under the Default Website Domain and save your settings. Once you are ready to truly begin selling your products online, you can set your Snipcart account from Test to Live from the Snipcart dashboard. If/when you set your account to Live, you will need to replace your snipcart API Key in your configuration file with your Public Live API Key. Congrats, you are now selling your products online using Prismic and Snipcart! 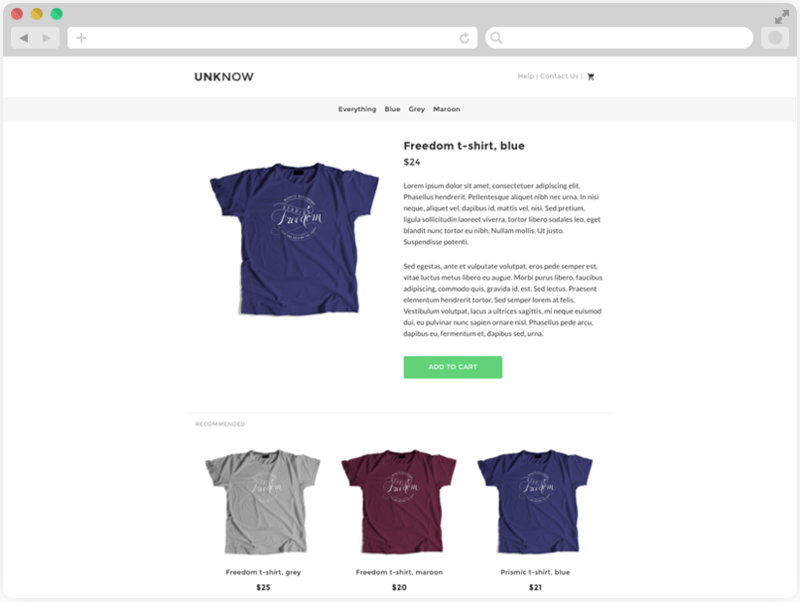 You should easily be able to modify this example eCommerce site to create your own online store: just edit the custom types, stylesheets, and templates to fit your design.